Jiofi wifi hotspot will be available after January 2017 with double data usage facility. 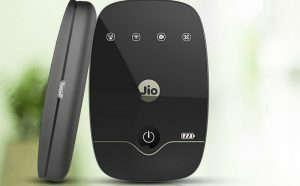 reliance jiofi hotspot cost 2000 with SIM available reliance digital stores, using same as wifi. You can get double data with Jionet reliance wifi hotspots in your area. you have to install jio net app. 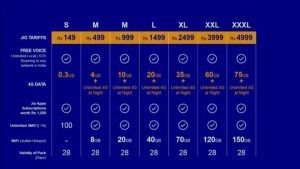 Where to get Reliance Jio 4G SIM? Reliance 4G SIM available at all Reliance Digital Stores, Digital Xpress, Digital Xpress Mini stores and from Reputable dealers. you can also reliance Jio stores at JIO website. Jio Using scarce fourth-generation of 4G airwavesJIO testing its 4g network for 3 months that the reasons for the Free 3 months service. 3 Months Free Unlimited Usage of Data SMS and voice calls until 31st December 2016. From September 1st onwards. 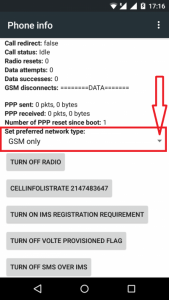 How to Port Number MNP to Reliance JIO 4g SIM ? you will MNP Number then walk along with your ID Proof to Reliance Nearest store. Customer care for complaints 198 others 199. 8000 cities and 2,00000 villages to cover 90% area till 2017 January. Ex: you can find many reliance digital stores and mini digital express within 1 kM of your area. But You can some information on nearest Reliance digital stores maybe with Reliance Trends, supermarkets. Solution: Android App My JIO, enter your mobile number and select your area. kindly walk the to the nearest store with KYC details get the sim and activate. offer lid until 31st December 2016. How to generate JIO welcome offer code? Install My JIO from Android play store not from others using share it. once the location identified it ask your alternate phone number Enter OTP to get Welcome offer code. just take a screenshot of your offer code. or note down offer code and aadhaar number go to nearest store and get JIO SIM without documents and Photo. it costs 1999 with 31% discount offer. you can get 3 months free data with free JIO SIM. but no stock in reliance digital stores. Aadhaar card with color xerox. Now! zero documentation. only Aadhaar Number required. 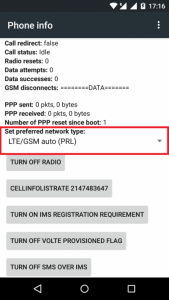 How to use Reliance JIO SIM in 3g Phones? we can use by Faking our mobile phone as 4G Phone. for this, we have install 2 Android apps. there are lot of tricks available please try this simple one. Go to settings >> protocol>> network control > band selection > LTE band and save 40 Band. Insert JIO SIM (it works perfectly). 2nd way to use JIO SIM on 3G Phone? Download Engineering mode app from play store. install & open and select 4G LTE network. Insert 4G Sim and Enjoy at 3g Speed. up to 20 MBPS but Average you can get 10-12mbps. With ekyc, No tele verification required just insert SIM card within 15m,minutes to 4 hours. it will be activated. (it will activates when you submit your aadhaar number & thumb impression at Reliance ekyc Agent. then you will get a message. Process Includes online but you can call 1977 to tele verify the details also activate the vOlte. Really big headache! Now reliance SIM Available without documentation aT RELIANCE STORES for free. but some most of them charging 200-500 Rupees for a free SIM. You just need to carry Aadhaar Number & coupon code which is generated by your 4G phone. Some mobile phones only support 4G LTE slot. so prefer 1st SIM Slot. 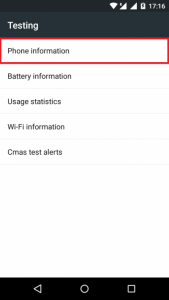 Enable 4G LTE only mode in Android phone This Menu>>Settings>>mobile networks>>4G LTE Only . Test All SIM SLOTS to know which Slot dedicated for 4G LTE. Note that two 4g SIMS networks simultaneously most of the 4G Phones. Insert your JiO SIM in other LYF phone or JIO FI device or friend’s 4G phone which is already working, once you got the signal insert in your phone. IS Reliance 4G Serice available in Your Area? its a satellite network. no need for cellphone towers. Check network coverage on jio website. Preview offer available on selected mobile phones. you will know once you download the myjio app from the android store. Prepaid and postpaid data usage same, but plans starts from 149 and 28 days validity. Data 1 paise for 20 KB. (10 paise for 200KB, 1 Rupee for 2MB or 2000KB (but as per prepaid plans we get 300 MB for 149 Rupees). You can call only on 4G Voice App through internet call like skype etc. The Incoming call works only when you enabled the data. Data needs to use continuously, so more background running apps heat the phone and discharge the battery very quickly. 3 Months unlimited usage limited to (4GB One day limited after FUP you will get 128 kbps speed). SO you can use 120 GB for the month free. 360GB Free for 3 months. 300 MB for 15O Rupees , but what about voice calling always turning on the data causes consuming more data.